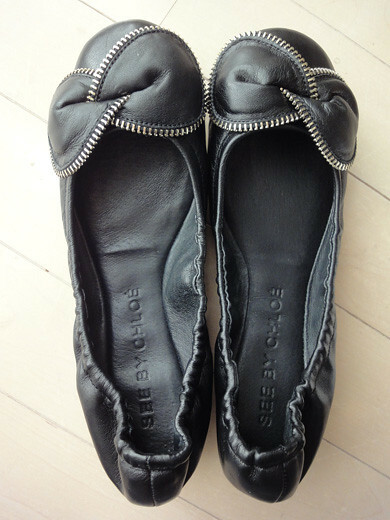 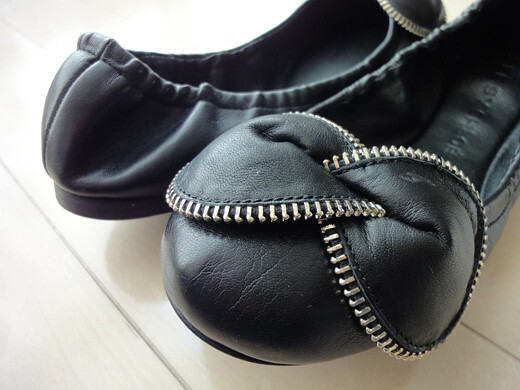 I got a pair of black leather ballet shoes from See By Chloe. 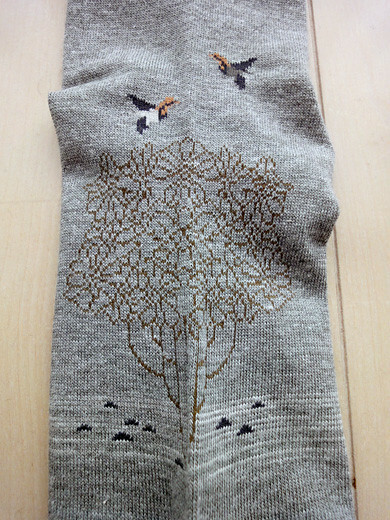 This pretty design is the same as my leather bag of See By Chloe. 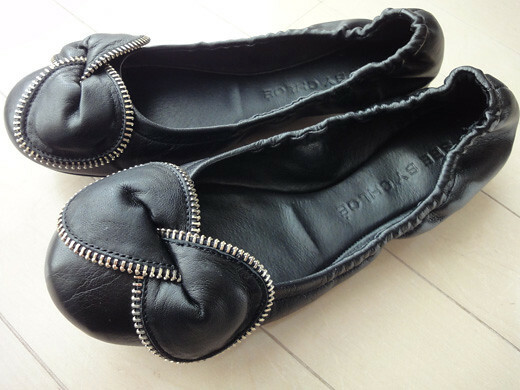 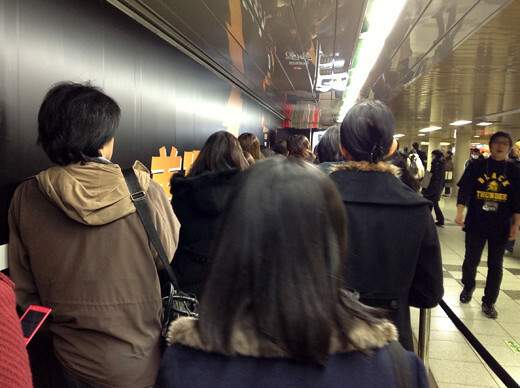 However, the leather is very soft, and it is very comfortable to walk. 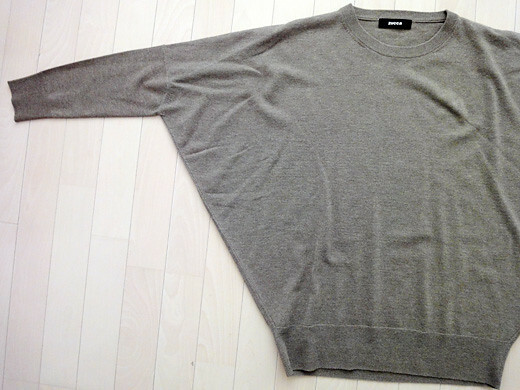 I got a mixed wool and cashmere sweater from ZUCCa. 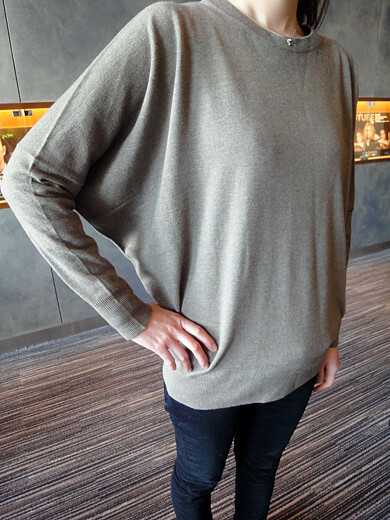 I like the simple design with the dolman sleeves. 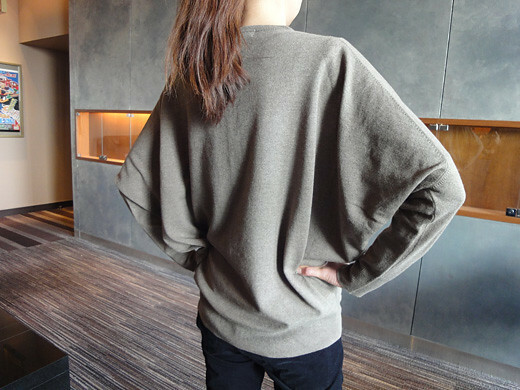 Also, the texture is very soft and smooth that makes me feel very comfortable. 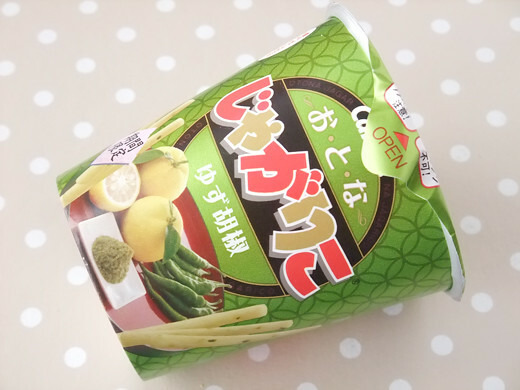 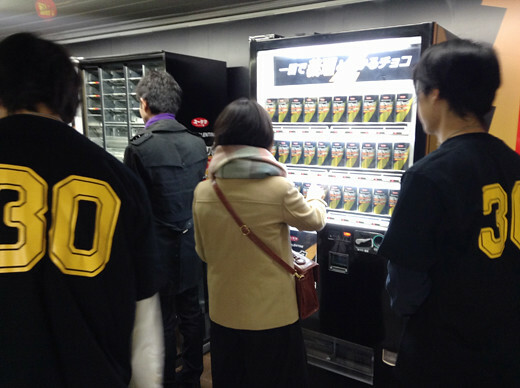 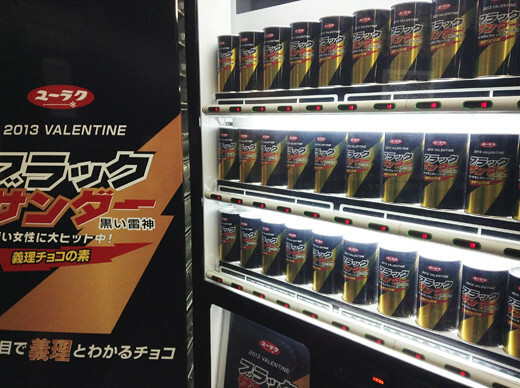 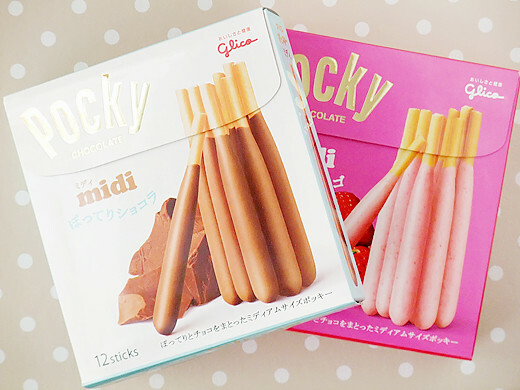 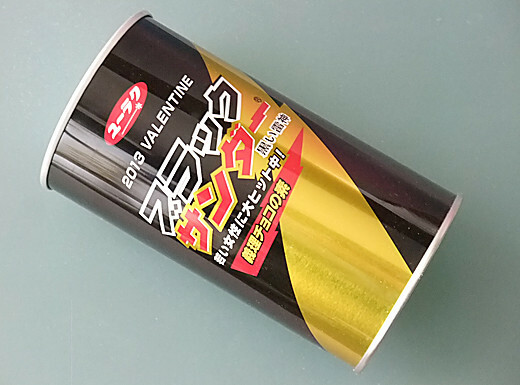 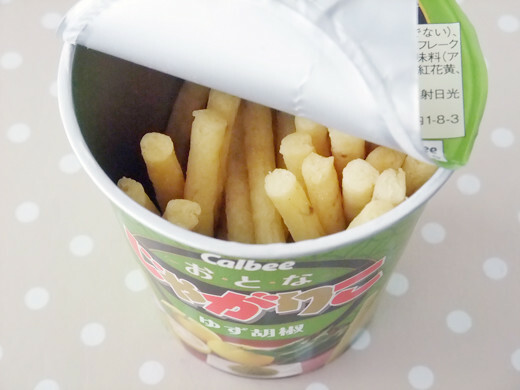 Pocky “midi” appeared in convenience stores. 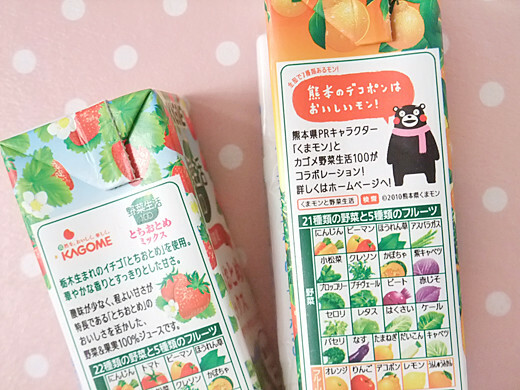 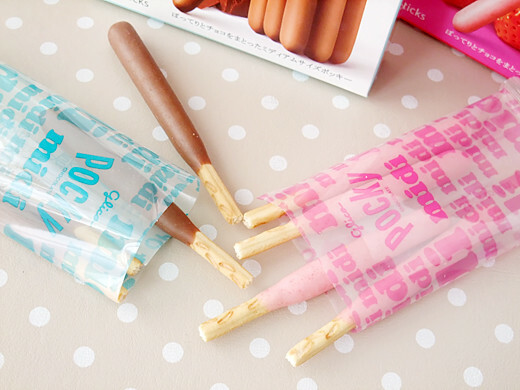 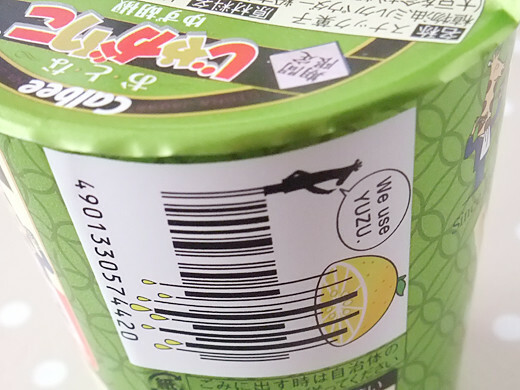 These are chubby and shorter than ordinary Pocky, that makes these looks humorous and cute. 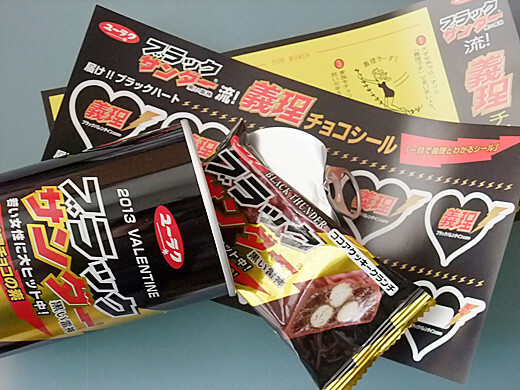 The body is made from 2 layers of whipped chocolate and thick shell covered chocolate. 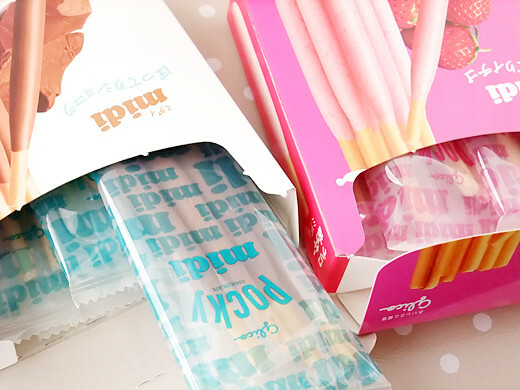 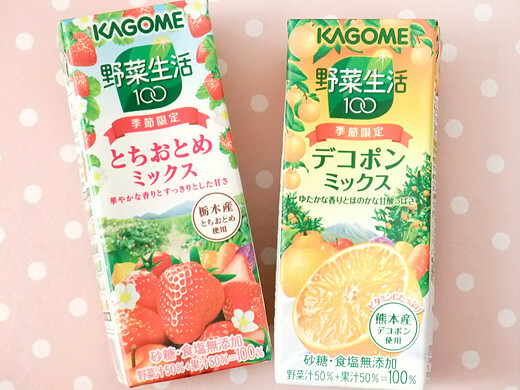 Both of “chocolat” and “ichigo (strawberry)” were very good! 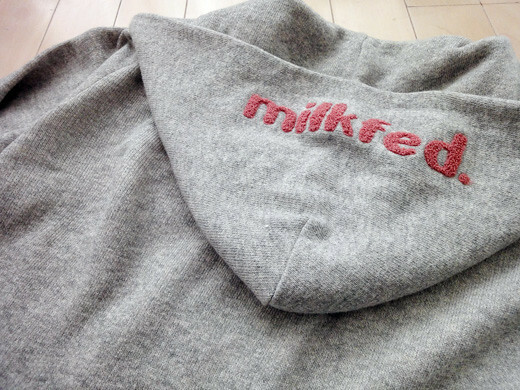 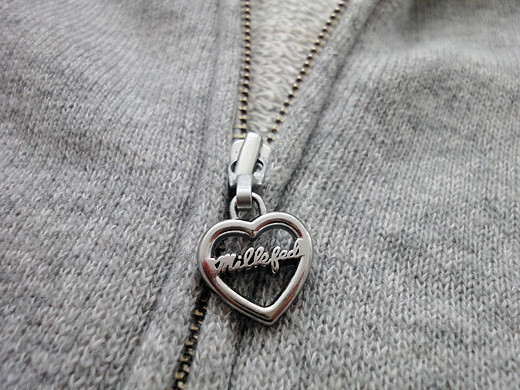 I got a very soft and comfortable cotton hoodie from Milkfed. 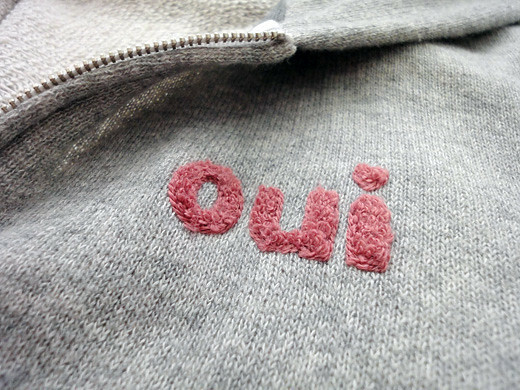 I really love the material, the gray color and the lovely pink logos. 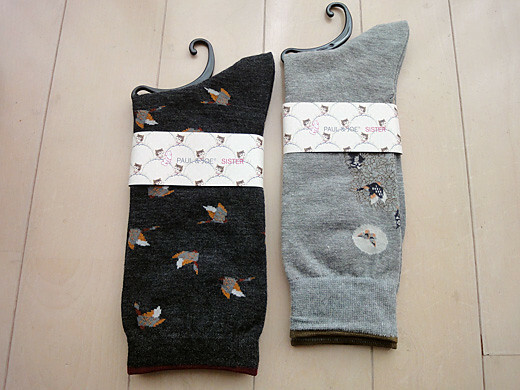 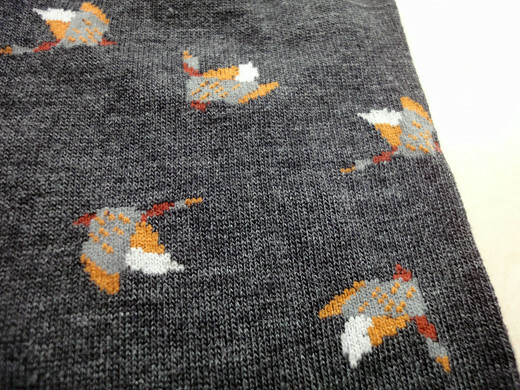 I got a couple of very cute socks from Paul & Joe Sister. 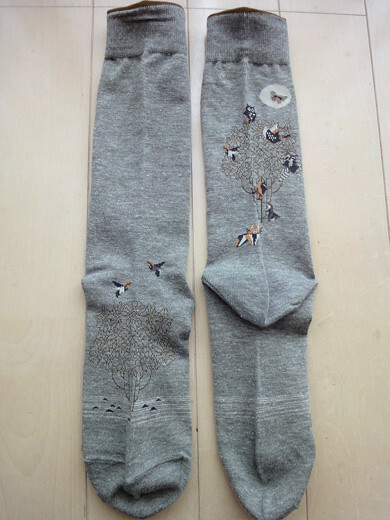 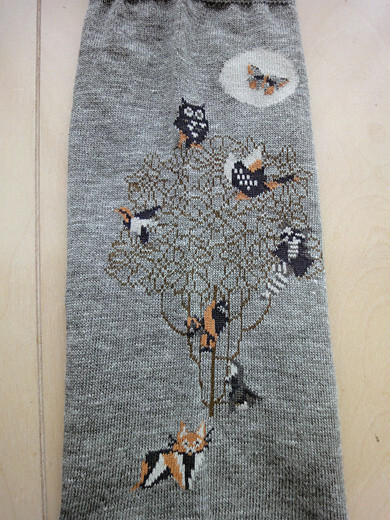 I really love the animal patterns on the socks.